What was quaint a few years back has now turned into a contemporary and stylish place with the presence of Signum Windflower. Located right amidst Kolkata’s most desirable neighborhood – Madhyamgram, Windflower with its elegant contemporary design and top-notch sustainability features will continue to define style for the generations to come. The project is made to let you indulge into the sensation of living peacefully. Developed by well-known Unimark and Signum Group, this RERA certified development offers a new level of comfort and luxury that will please you. Spread over vast acres of land, this marvelous project offers luxuriously designed 2, 3 and 4 BHK spacious apartments for the comfort of the buyers. With apartment sizes ranging from 865 sq. ft. to 1680 sq. ft, experience the luxury of abundant space that will always make you smile. Each and every home is well-ventilated, and is skillfully designed with hi-tech interiors including designer teak wood frame doors, vitrified designer tiles and anti skid tiles flooring, elegant kitchens with granite top and SS sink, concealed wiring with premium modular switches, branded fittings and furnishings, premium quality sanitary ware with CP fittings, hi-tech safety features and a lot more. Signum Windflower Kolkata offers a wide variety of ultra-modern external amenities that are well-designed, rich and of the highest standard. These amazing amenities help you to live a better life, a life that you really deserve. The external amenities inside the township include a massive clubhouse for recreational purposes, a swimming pool to enjoy and relax, a well-equipped gymnasium for you to always stay fit and healthy and a safe play-zone for your children to enjoy as well. 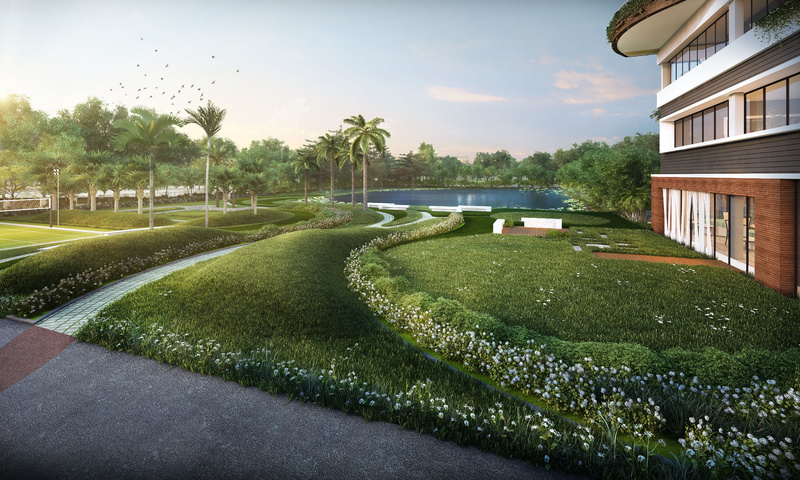 Apart from this, wide open space, green zones and landscaped gardens inside the township enables you to experience a touch of nature and breathe fresh air every day. Without a doubt, this project takes care of your body, mind and soul with its mind-blowing amenities that will always keep you active. Coming up at Madhyamgram in Kolkata, the project enjoys easy and fast connectivity to everything essential such as Dumdum Airport, Dumdum Metro Station, key commercial zones, Howrah Station, Shealdah Station and more. Many renowned schools, colleges, restaurants, banks, hospitals, malls, convenience stores, entertainment zones etc also lie near the project site. Superb infrastructural facilities complimented by all kinds of transport like rail, road and metro are going to make this project a prime residential destination. Starting at just Rs. 24.22 lakhs and going up to merely Rs. 47.05 lakhs, you get the best at an attractive cost and that is a beauty of Windflower in Kolkata. 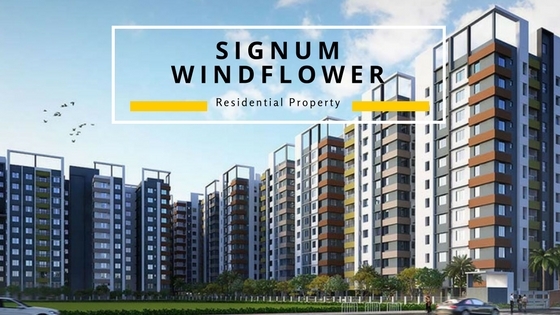 Signum Windflower price is also supported by a number of friendly payment plans, easy home loan facilities, NRI services, after sales assistance and more for the convenience of the buyers. So, buy a sophisticated home here to lead the life of your dreams.